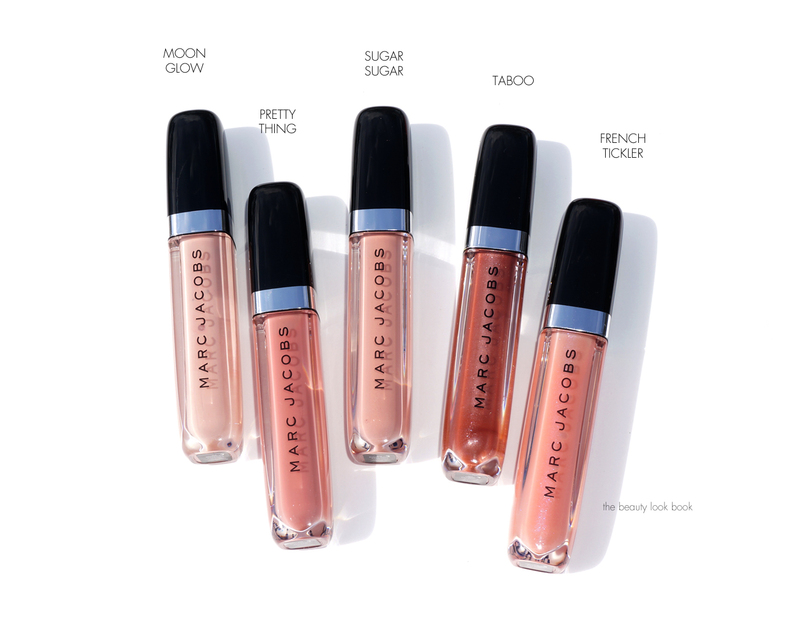 For summer Marc Jacobs Beauty has launched a new lip gloss formula called the Enamored Hi-Shine Lip Lacquer ($28 each for 5 ml/0.16 fl oz). 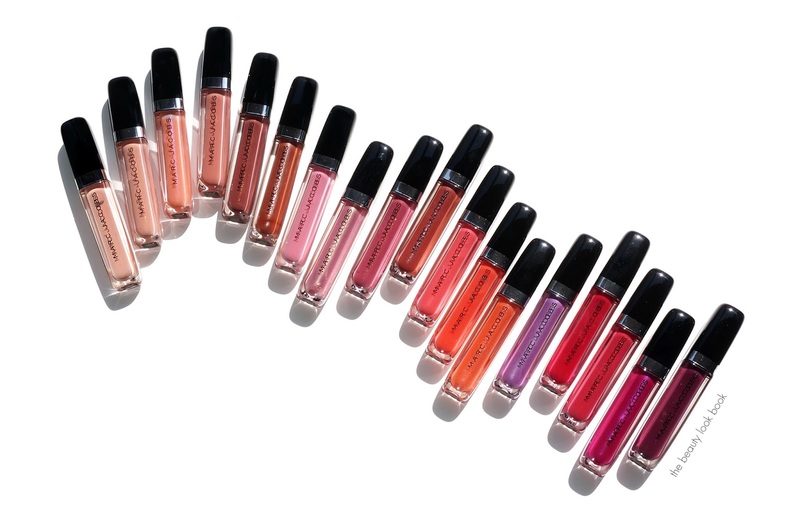 There are 18 shades of high-shine lip gloss that come in a wide range of colors from soft nudes, feminine pinks, plums, corals and bolder reds. The textures range from jelly, to cream, to shimmer – all with a smooth lush cushiony gloss feel. In terms of pigment, most of the colors offer sheer to medium coverage. 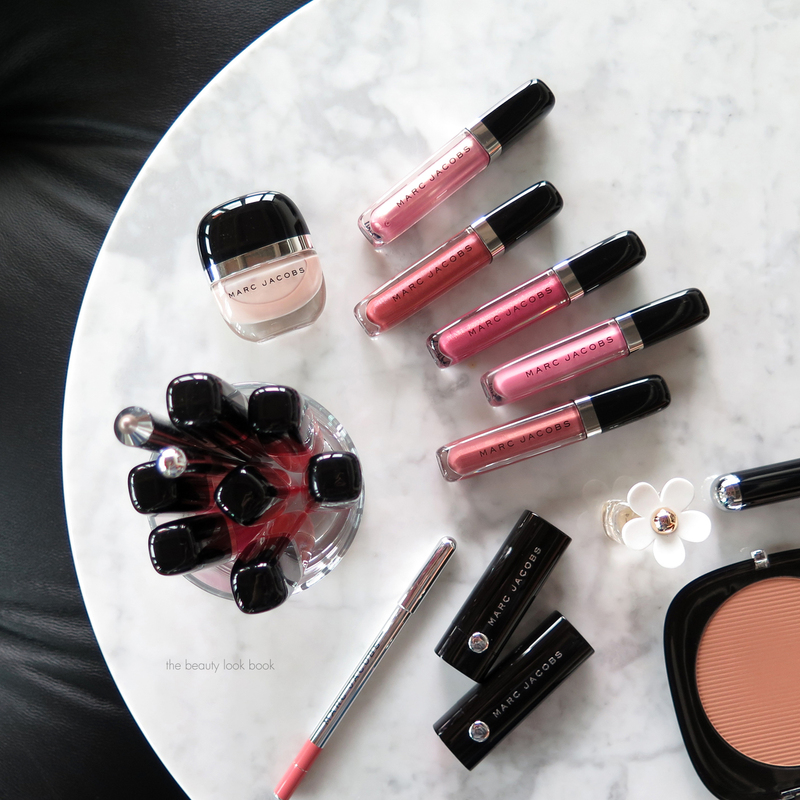 Some you can wear alone while others are best used for high shine or to layer over lipstick. 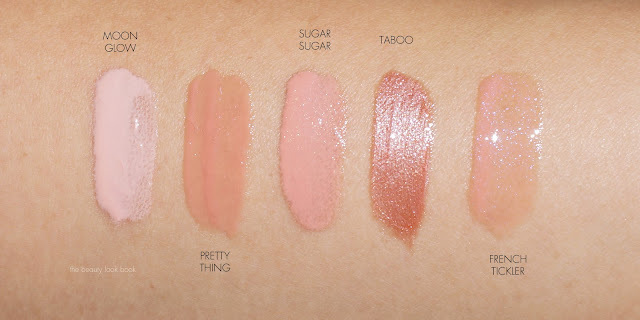 There is a subtle sweet minty scent to the glosses which have a cooling (but not tingling) feel on the lips. 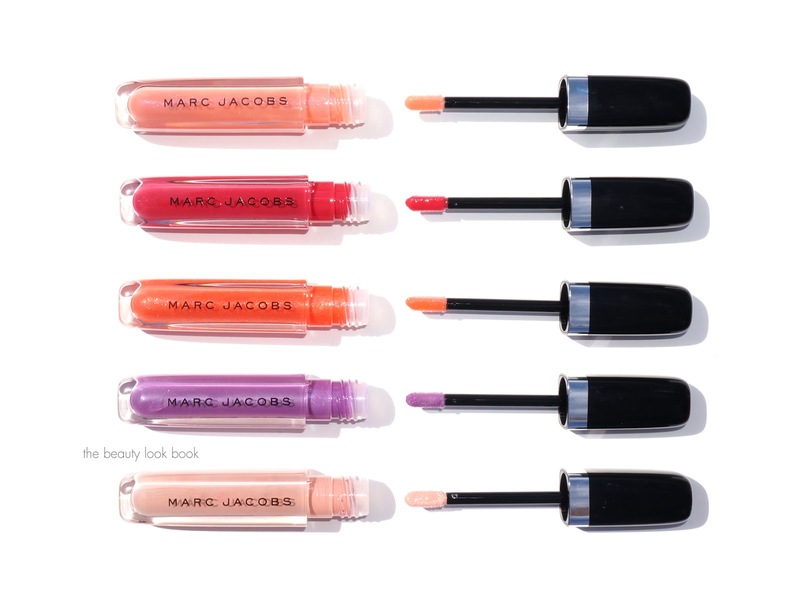 The Enamored Lip Lacquers are infused with apricot and passionfruit and feel ultra hydrating and smooth once applied. 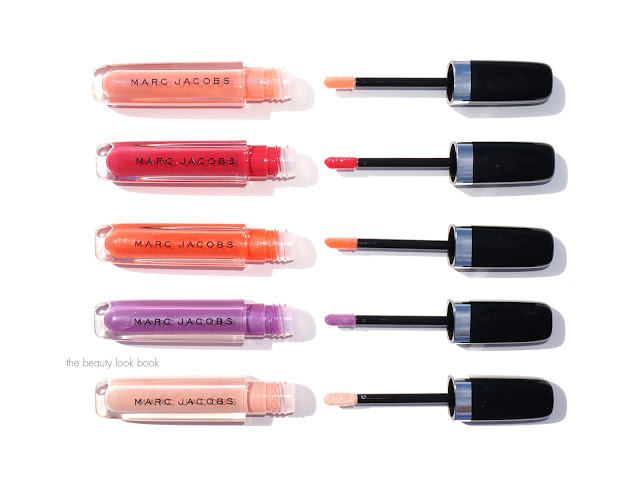 I’ve teamed up with Marc Jacobs Beauty to share all 18 colors with you today. First a quick look at the packaging. 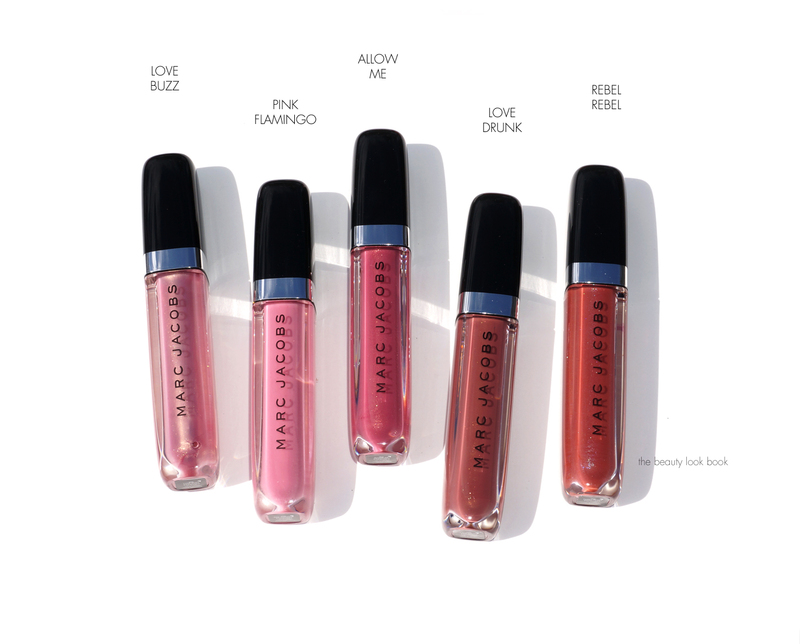 The new Enamored Hi-Shine Lip Lacquers are similar in design and packaging compared to the original lip lacquers (sheer and full). The tube is now a rounded square rather than a flattened tube but still has the same flexible sponge-tip applicator. I’ve been playing with the glosses for a few weeks now and found lasting power to be pretty good given the shine and jelly finish. 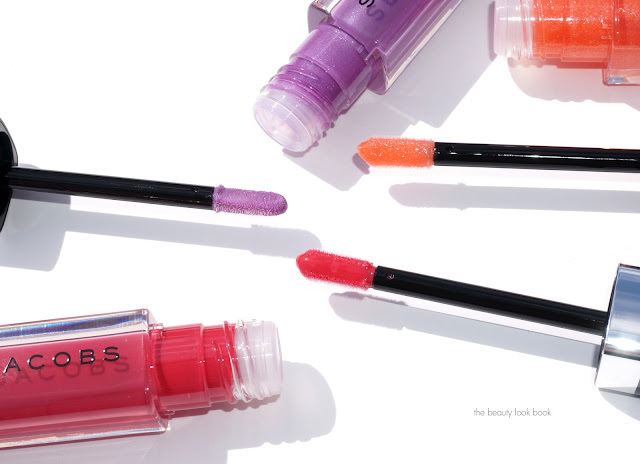 The Enamored Hi-Shine Lip Lacquers last for several hours without fading or budging if your lips go untouched. The gloss has decent lasting power and will stay put through one cup of coffee, but there will be transfer to the cup. The good news is even though these are sheer, the texture makes them pretty much budge-proof and the color doesn’t fade until several hours into wear. Overall I think there’s lots to love with this formula. 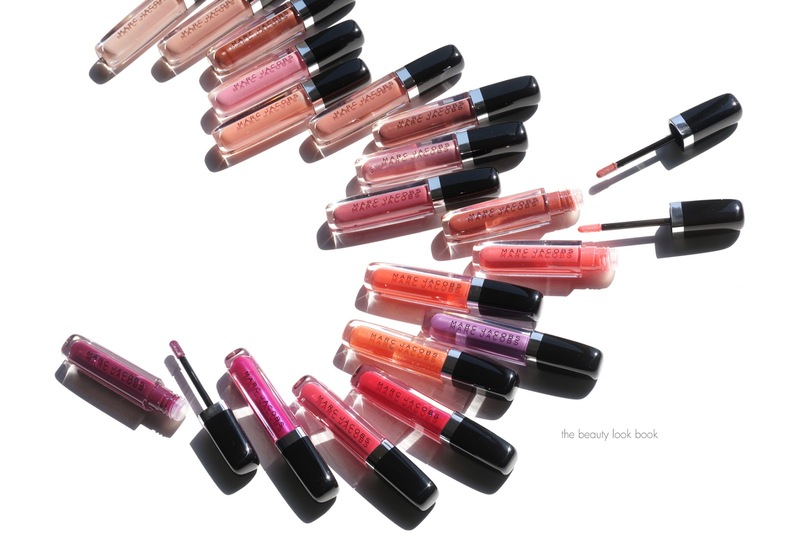 If you like high shine glosses with sheer to medium coverage I think you’ll definitely find a color to suit your taste. My personal top three picks include Love Buzz, Pink Steam, Taboo and Some Girls. The shimmery/metallic ones seem to have the best coverage with slightly more pigment. Even though my favorites are on the metallic side, they go on the lips with a smooth lush shimmer that isn’t overly frosted. 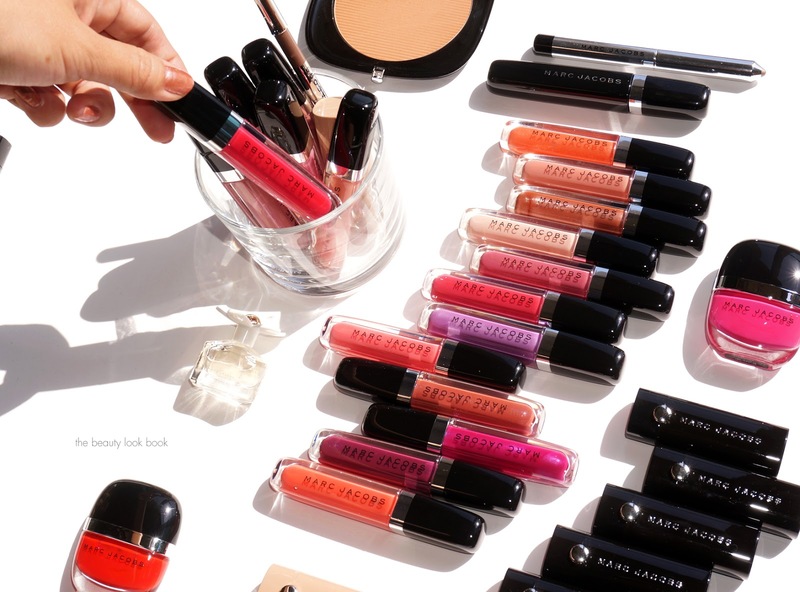 Long time Beauty Look Book readers know I am a neutral lip lover at heart, but I find the brighter ones very wearable. 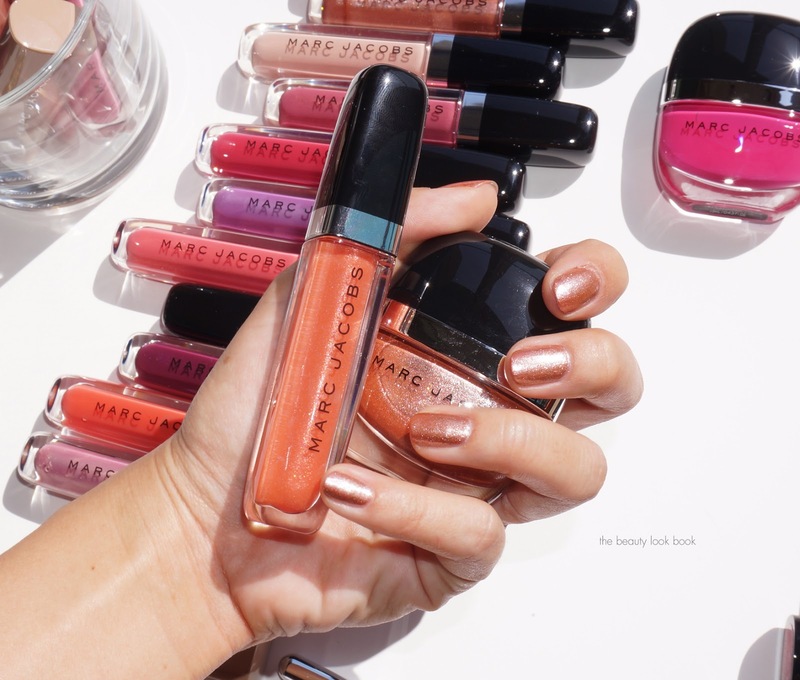 The glossy finish and semi-sheer color makes these more forgiving on the lips – the shades are perfect for that effortless glow and wash of color that I crave in warm weather months. 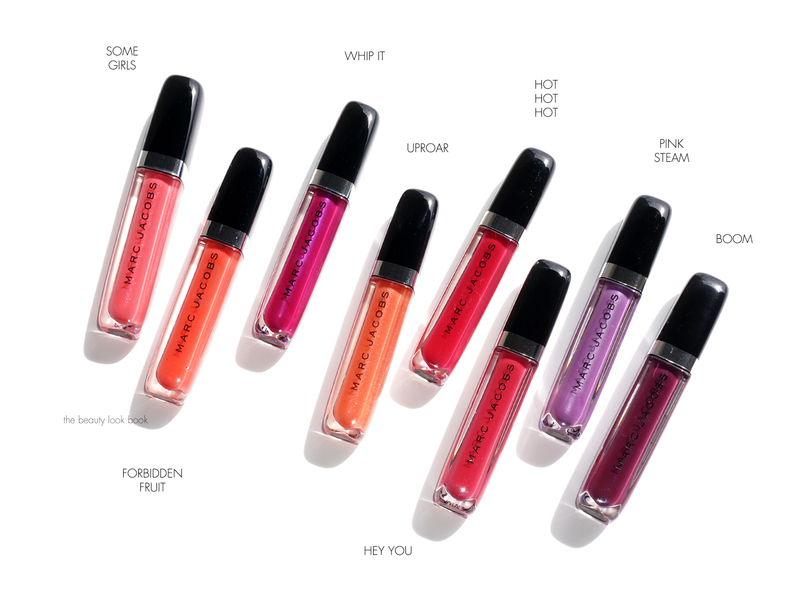 There are 18 shades available now online at Marc Jacobs Beauty. Each color retails for $28. 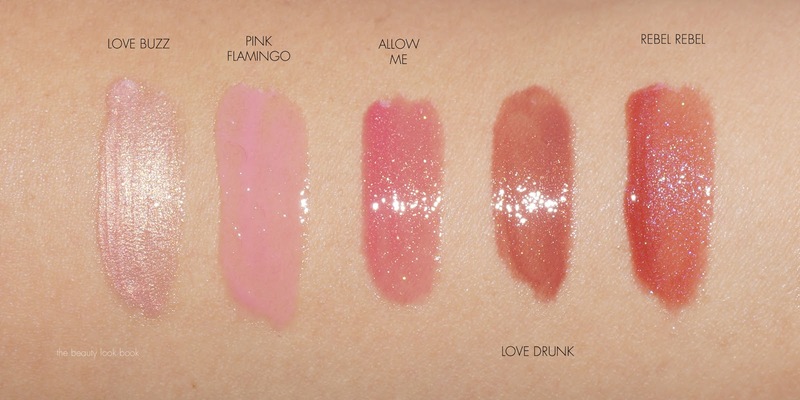 Have you checked out the new Enamored Hi-Shine Lip Lacquers yet? If so, what did you think? 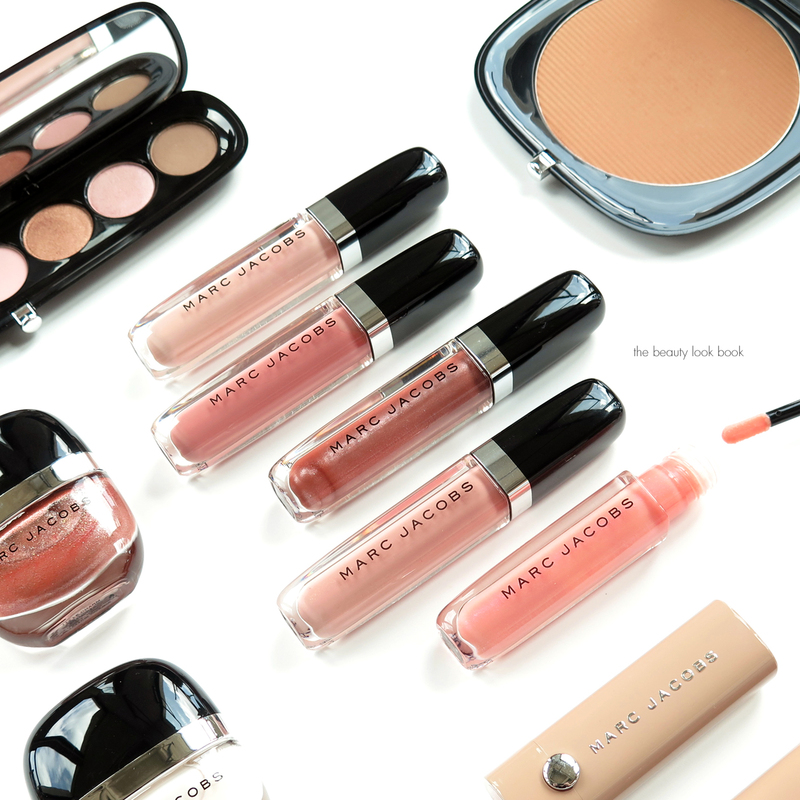 Many thanks to Marc Jacobs Beauty for sponsoring this post. The glosses were provided courtesy of Marc Jacobs for this feature. For more details refer to my disclosures.